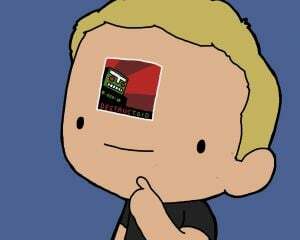 A few days ago I got a DM from Dtoider BBats asking for my address. 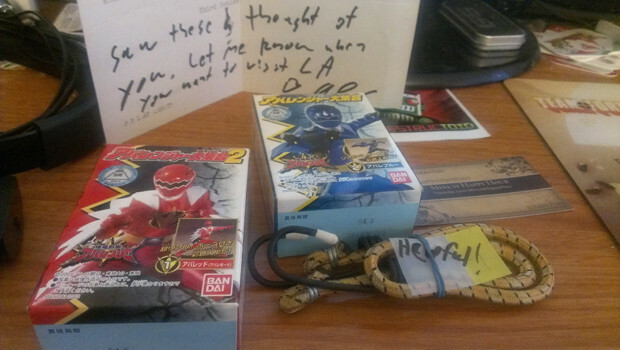 Knowing BBats to be a rad dude who wouldn't send me an envelope full of poisons or cucumbers, I gave it to him. 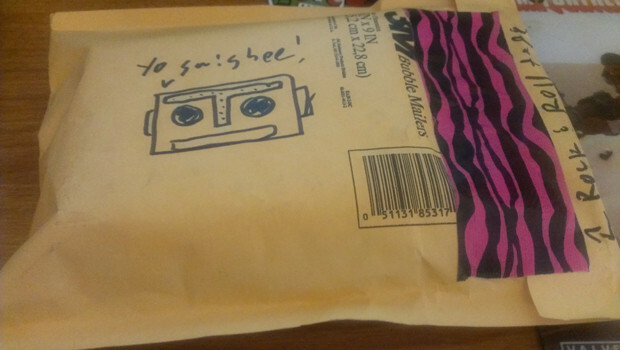 Today I opened my mailbox and found the above package inside, sealed with Rock and Roll Tape. Inside were some rad little treasures! Here's the haul! 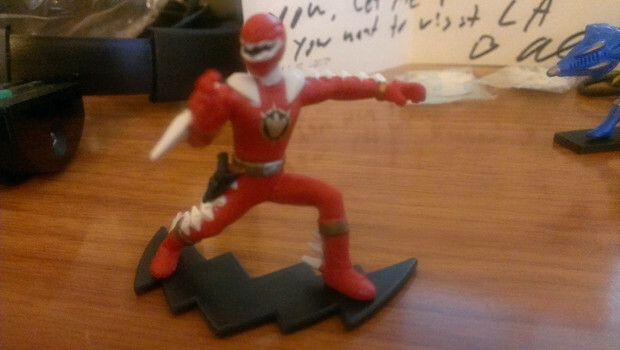 First off, there were a couple Abaranger mini figures! One of Abare Red in his powered up mode! 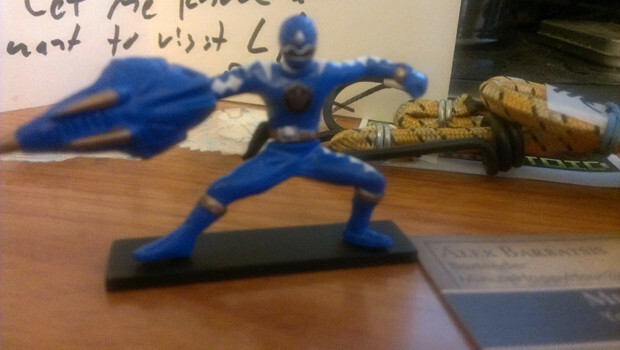 Second was Abare Blue, holding his shield! On top of those guys, there was also a business card for BBats' Minute Happy Hour YouTube channel. Plus a love note from him. Finally, my favorite piece because it made me laugh so much, a bungee cord with a note that reads "Helpful!" on it. 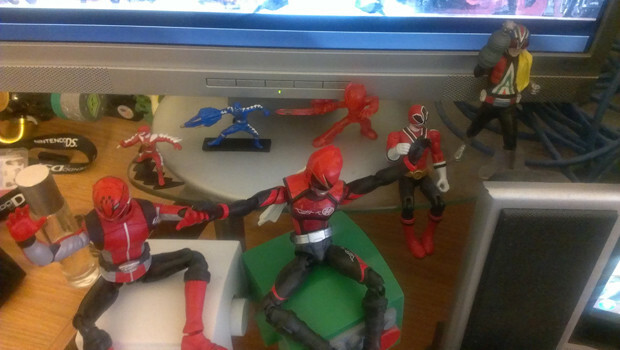 I put the mini figures up with the rest of my Sentai (and one Kamen Rider) figures and stuff. I think they're going to fit in well.